A photo posted to Twitter of the Premier meeting the Queen in London this week. He went on to pontificate about Labor’s belief that “we must have a growing economy in order to be able to deliver a fair society”. “We believe that growing prosperity should deliver for everyone, not necessarily in the same proportion, but at the very least, a fair one,” he said. To be fair, the former Opposition Leader’s phrasing was clumsy at best, but effectively both men were espousing the same sentiment: that it is economic policy, not social policy, that is at the heart of their mission. That you have to get the economic metrics right before you can credibly pursue any other agenda in government. This was a lesson Labor once learned through its turbulent time in office in the 1970s, with the Whitlam Government’s pioneering social legacy overshadowed by an economic agenda that Bob Hawke later described in an ABC documentary as “inept to a degree which was almost beyond description”. 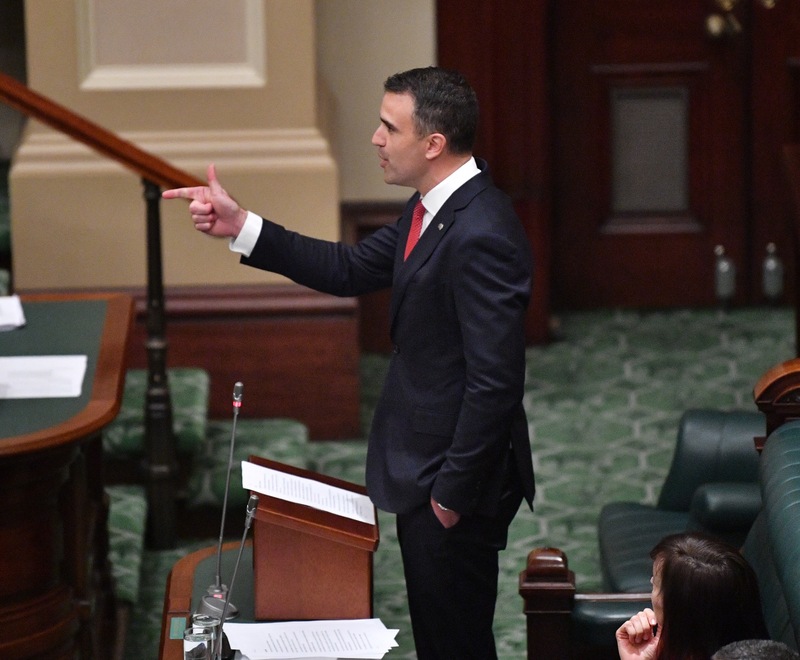 It’s a lesson of which Malinauskas, as an astute student of Labor history, will be keenly aware – and he appears determined that Labor shouldn’t be silent on its economic record, allowing the Libs to steal the credit for the fact the looming double-digit unemployment figures mooted by its own government forecasts never eventuated. For while modern politics remains a theatre of petty conflict, the major party participants in the contest remain, in many ways, of a kind, and it is not a stretch to now presume that SA’s government has not really changed at all, but merely donned a different garb. This week, for instance, when Treasurer Rob Lucas gave MAC the knife, Labor railed gamely against “another cut to community safety”. But, given it was Labor that actually privatised the Motor Accident Commission’s primary function in a bid to avoid successive budget deficits – and that Labor had subsequently privately discussed the future role of the MAC at some length – their complaints were somewhat muted and obligatory. For all Labor’s longtime rhetoric against privatisation, as Lucas recently noted, about the only public asset left nailed down by the end of the ALP reign was SA Water, leaving the Libs to go about their own privatisation agenda as best they can without ever using the word ‘privatisation’, which has evidently joined ‘hung parliaments’ and ‘minority governments’ on the list of things we must avoid at all costs, despite no-one really pondering why they’re so bad to begin with. There was a similar sense of ‘business as usual’ this morning, when Transport Minister Stephan Knoll took part in a driverless car trial down at the old Holden plant (presumably taking care to avoid fake kangaroos, unlike his predecessor in the timeless vision below). Driverless cars, you’ll recall, were a particular preoccupation of former Premier Jay Weatherill and his government, one the Libs in Opposition frequently derided as a “distraction”. Ridgy also went on to point out that, while the then-Opposition would support the bill, “I’m not sure the Premier’s passion for driverless cars is going to be a job-creation industry”, and “when you actually look at it, of the thousand or more taxi drivers we have in SA, driverless cars will put all of them out of work”. I’m sure these were all points Knoll reiterated at today’s presser. Still, the Libs don’t seem to be complaining – and that’s exactly the point. After 16 years of carping, whining and whinging for a living, most of them seem to be quite enjoying cutting ribbons, turning sods and generally talking things up for a while. A question I get asked quite a lot – including from Liberal insiders – is: how do you think the Government’s going? And the reason, in part, stems from the fact that the Marshall Government isn’t giving us much to go on. While the former Labor mob were big fans of the major media set-piece, the Libs are broadly happy to vacate the news cycle, beyond a regular round of the aforementioned ribbon-cuttings and sod-turnings – usually accompanied by a corresponding Labor MP’s tweet about how it was all their idea. While Weatherill’s shtick was a Rudd-like ‘shock and awe’ media strategy predicated on monopolising the airwaves, bulletins and headlines at every turn, Marshall’s is redolent of Abbott’s brief honeymoon, which appeared to make a concerted effort to slow down the relentless media cycle. Not so much ‘shock and awe’ as ‘shock and snore’. Whether by accident or design, the respective media strategies aptly reflect the single most significant difference in the two leader’s ideological outlook. Weatherill, avowedly “not a free market guy”, was (and still is, presumably) driven by a belief in the “strong leadership role” for government in the economy. His argument, as he told a Flinders University forum recently, is that a “small economy” such as SA “has a higher risk of decline unless there is strategic [state] intervention”. His view, succinctly outlined in a telling ‘State of the state’ address to the Committee for Economic Development in June, “is based on the conviction that for too long SA had a government which centralised too much… because it had an ideological belief in government control and promised that it could fix every problem”. “You won’t hear me claiming my government has created tens of thousands of jobs,” he told the forum. His mission, he said, was “to extend the practical support government is able to afford, as widely as possible, by building capability and skills across the board – rather than the government itself picking winners”. “It’s not about doing away with government,” he said, “but making government work fairly and effectively for everybody”. The successive leaders’ respective media personae seem to reflect these differing beliefs. Weatherill and his ministers, it seemed, had to be out constantly reminding everyone that they were there, and what they were doing for people. Marshall’s mob, by contrast, seem to have surmised that after a chaotic campaign and with local and federal government elections still playing out, South Australians are well and truly over politics and would be happy to go about their business free from daily reminders that their government is still getting on with the job – or isn’t, as the case may be. Thus, while Weatherill’s ‘big government’ mantra was broadcast via a big media strategy, Marshall is all about government getting out of the way, a message he says best, as the old song puts it, when he says nothing at all. Not that there’s anything wrong with that, of course. Indeed, the only population demographic that gets frustrated with a low-key media strategy is Political Reporters, and we don’t tend to get much sympathy from anyone, on the whole. And, given a recent Advertiser survey had Marshall on a net satisfaction rating of almost 80 per cent, whatever he’s doing – and however he’s doing it – seems to be paying dividends. Which suggests Malinauskas’ move to reassert the primacy of economic policy was a calculated, and canny, move. Marshall, whose naturally affable, effusive manner was never much suited to Opposition anyway, appears to have stumbled onto a good thing in government: smile and say as little as possible while the economic metrics keep turning your way. 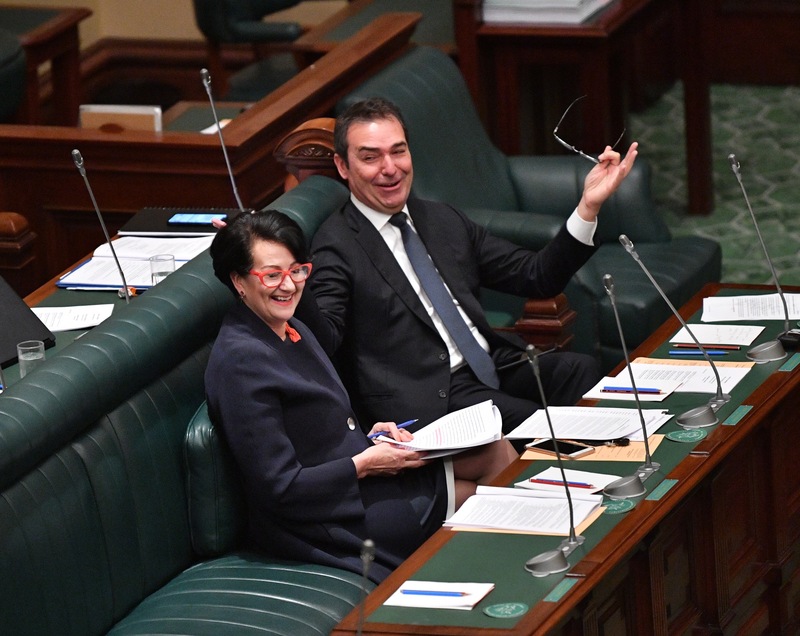 Malinauskas’s mission will be to keep Labor in the conversation, and to try and frame any economic recovery (such as it is) within the legacy of the former government of which he was belatedly a part. It’s probably a narrative to which he is well suited. After all, he didn’t go into politics for the social issues.